1)	What are the 3 countries where most refugees have been coming from in the last few years? 2)	What percentage of Syrian refugees are now living in Turkey, Lebanon, Jordan, Iraq and Egypt? 3)	What percentage of Afghan refugees are now living in Pakistan and Iran? 4)	Which countries have taken most refugees in the last few years? 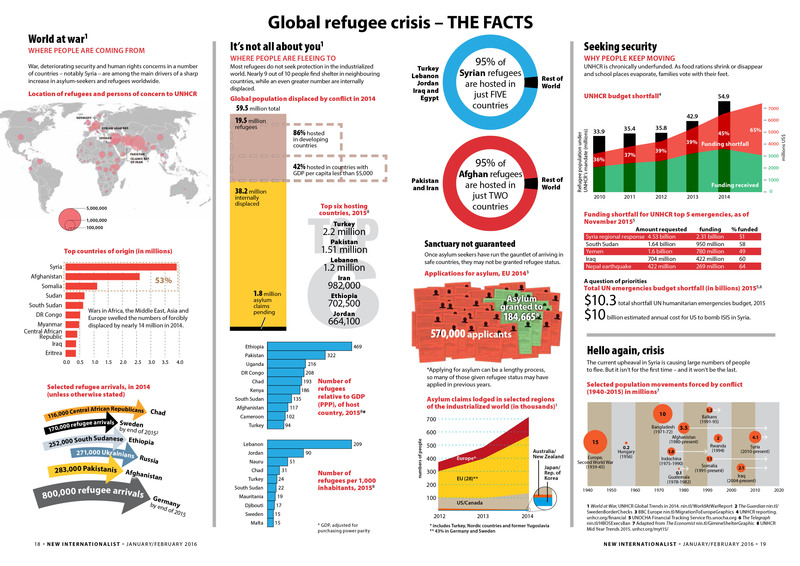 5)	Which countries did most refugees leave because of war in the last 90 years? This page was last edited on 1 May 2016, at 12:29.